"Beware of the leaven of the Pharisees and the Sadducees." " I speak to you today of the leaven in your lives. What do you know of this leaven? Do you recognize what it is, where it has come from, and how you are allowing it to not only influence your lives but to mandate everything about it? It starts out so subtly, but grows ever stronger of a force over you. I speak of the many, many ways and things that have your attention, and therefore have taken your focus off of Me. Is it your work? The lifestyle you have created for yourself and your family? Think about this for a moment. How do you spend your time? What things are you following that have been mandated by men? What has become your priority? Technology is fascinating, but how much of your day is spent absorbed with it? You know of which I speak. This leaven becomes a poison, but a poison that destroys slowly most times, and completely. Satan has used this tool as a weapon of warfare against My saints because he knew it would bring the downfall of many. Distractions come in many forms, but the end result is always the same. A numbness, an indifference, a lukewarm attitude toward Me and the Kingdom that I have offered you freely. I ask you again, what do your eyes feast on? Your ears? Think of all the things in your life that have nothing to do with Me or My purpose here for you. They have made you idle and fruitless spiritually, and they are the reason you have become satiated with the things of this world and ignorant of the ways of My Kingdom. You experience depression, loneliness, bitterness, anger, unforgiveness, confusion, and finally, apathy. How could you ever know My voice? But I tell you once more, I have opened a way unto you that brings joy, peace, forgiveness, love, and contentment. The way is so very simple. All I ask is that you spend time with Me! I want to be Your help in times like these, I want to be the answer to all of your lifes' troubles and concerns. I want to be the One you run to and ask to just sit with you, talk with you, listen to you. I want to be Your everything! I want to hold you and tell you that you don't have to worry anymore, that all indeed will be well. I have that promise for you, if you would only embrace it and truly believe it with all of your heart and all of your soul. I am your Yeshua, and I love you more than anyone could! Come to Me, and allow the Kingdom to dwell inside of you, as this is how We created you to be, remember, in Our image. Read My Word, in it you will find everything you need to move forward, and rid yourself of the leaven that has made you feel so heavy and burdened. There are no strings attached, and the invitation is open to all! Please, don't wait any longer, come to Me now." Matt 11: 29-30 Take my yoke upon you, and learn of me; for I am meek and lowly in heart: and ye shall find rest unto your souls. For my yoke [is] easy, and my burden is light. John 10: 27-28 My sheep hear my voice, and I know them, and they follow me: And I give unto them eternal life; and they shall never perish, neither shall any [man] pluck them out of my hand. Luke 13: 24-30 Strive to enter in at the strait gate: for many, I say unto you, will seek to enter in, and shall not be able. When once the master of the house is risen up, and hath shut to the door, and ye begin to stand without, and to knock at the door, saying, Lord, Lord, open unto us; and he shall answer and say unto you, I know you not whence ye are: Then shall ye begin to say, We have eaten and drunk in thy presence, and thou hast taught in our streets. But he shall say, I tell you, I know you not whence ye are; depart from me, all [ye] workers of iniquity. There shall be weeping and gnashing of teeth, when ye shall see Abraham, and Isaac, and Jacob, and all the prophets, in the kingdom of God, and you [yourselves] thrust out.And they shall come from the east, and [from] the west, and from the north, and [from] the south, and shall sit down in the kingdom of God. And, behold, there are last which shall be first, and there are first which shall be last. Luke 17: 20-21 And when he was demanded of the Pharisees, when the kingdom of God should come, he answered them and said, The kingdom of God cometh not with observation: Neither shall they say, Lo here! or, lo there! for, behold, the kingdom of God is within you. Luke 21: 34-36 And take heed to yourselves, lest at any time your hearts be overcharged with surfeiting, and drunkenness, and cares of this life, and [so] that day come upon you unawares. For as a snare shall it come on all them that dwell on the face of the whole earth. Watch ye therefore, and pray always, that ye may be accounted worthy to escape all these things that shall come to pass, and to stand before the Son of man. 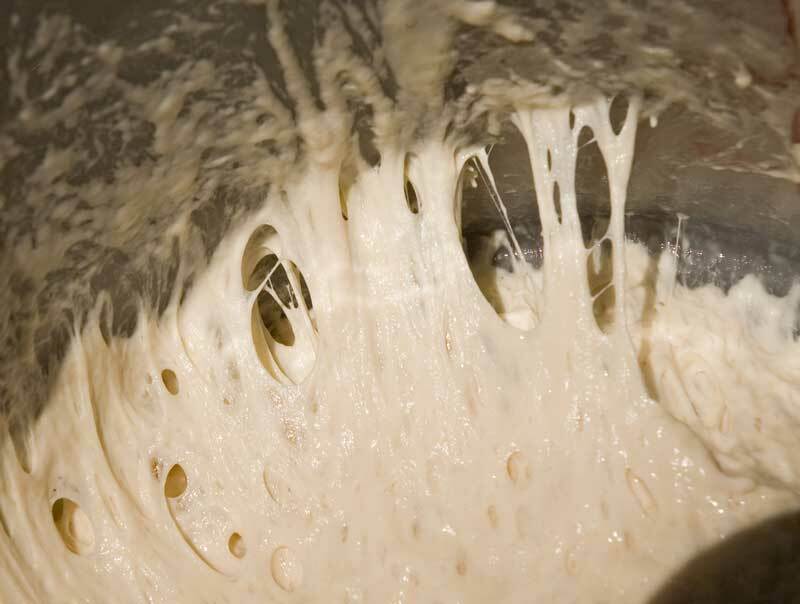 ordinary leaven consisted of a lump of old dough in a high state of fermentation, which was mixed into the mass of dough prepared for baking. The use of leaven was strictly forbidden in all offerings made to the Lord by fire. During the Passover, the Jews were commanded to put every particle of leaven from the house. 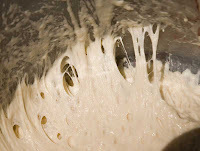 The most prominent idea associated with leaven is connected with the corruption which it had undergone, and which it communicated to bread in the process of fermentation. Our Saviour speaks of this property of the leaven in the doctrine of the Pharisees and the Sadducees. Paul speaks of it in the NT referring to the "old leaven" 1 Cor: 5:7. Another quality of leaven is it's secretly penetrating and diffusive power. Yeshua speaks of it as illustrating the growth of the kingdom of Heaven in the individual heart and in the world at large whether for the good, or for the bad: because (1) its source is from without; (2) it is secret in its operation; (3) it spreads by contact of particle with particle; (4) is is widely diffusive (only one particle is needed to change the whole amount); (5) it does not act like water in that it changes what it comes in contact with into its own nature, with a propagating power. Luke 12: 1 In the mean time, when there were gathered together an innumerable multitude of people, insomuch that they trode one upon another, he began to say unto his disciples first of all, Beware ye of the leaven of the Pharisees, which is hypocrisy. Matt: 16:6 Then Jesus said unto them, Take heed and beware of the leaven of the Pharisees and of the Sadducees. Matt: 24:24 For there shall arise false Christs, and false prophets, and shall shew great signs and wonders; insomuch that, if [it were] possible, they shall deceive the very elect. Matt 24: 4-5 For there shall arise false Christs, and false prophets, and shall shew great signs and wonders; insomuch that, if [it were] possible, they shall deceive the very elect. For many shall come in my name, saying, I am Christ; and shall deceive many. Mark 13: 5-6 And Jesus answering them began to say, Take heed lest any [man] deceive you: For many shall come in my name, saying, I am [Christ]; and shall deceive many. The Sadducees were a type of sacerdotal aristocracy. They seem to have originated from the sons of Zadock or the Zadokites. Zadok was a priest in favor of Solomon, and the higher priests belong to this sect. They were very wealthy and had a powerful influence at the time of Christ as well. They denied the resurrection, personal immortality, and future retribution. They also denied the existence of angels or spirits. They upheld the freedom of the will to such an extent that they repudiated Divine Providence. They were a very strong influence in the Sanhedrin with Herod as well. In summary, "Beware of the Pharisees and the Sadducees" should hopefully have more meaning and understanding after reading this. Yeshua's message of encouragement to us is so simple. We are to get rid of anything at all that is keeping us from reading His Word, and spending time with Him each and every day. It is only through Him that we can receive the Kingdom of God, His free gift, but we have to be the ones to invite Him in. We need to have the faith of a child, and trust in Him to handle absolutely everything in our lives, no matter how big or small. Only He can fill the void that we are trying to fill with things of this world. What traditions of men are keeping you from having an intimate relationship with him? Who do you 'follow' and who are you listening to for intstruction, and guidance? What outward signs are you looking for before you make the decision to seek Him? And what are the things we are clinging to in the material world to keep us comfortable numb? These are the questions we need to ask ourselves today and everyday. "It was never My intention after I created you and this earth to have to destroy what I had made, in order to rid the earth of it's evil. You were created in My image! It was perfect, and it was beautiful. I have much sorrow at what I am about to do once again. Oh My people, My people! Why is it that you have not chosen life over death? Is what satan has dangled before you , grotesque sin, so much more attractive than what I, your Creator and your Father has offered you? I gave you Paradise. I am a God of love, of peace, of joy, yet man continues to choose death. I have no choice but to again, put a stop to the schemes of the enemy. But first, I must purify. It will be painful my child, but only for a time. Hold fast, we will never leave you." Gen 1:31 And God saw every thing that he had made, and, behold, [it was] very good. Matt 22:32 I am the God of Abraham, and the God of Isaac, and the God of Jacob? God is not the God of the dead, but of the living. "What I am about to do on this planet will shake you to your core. The events spoken of by My prophets are here. My righteous whose feet are planted firmly in Me and in My Word, will stand. Those who have NOT accepted My offer will now know they have chosen poorly. Eternity would not be enough time for the wicked to mend their ways. I must, and I will act now. The sorrow will be great. Certain places will cease to exist. You will be the only light most see in their despair. My light must radiate through you, as a beacon for those who will be totally lost and despairing. Remember months ago when I spoke of the suddenlies. The suddenlies are now upon you. WAKE UP !!! Be not afraid. Your focus must not be on the physical, but on our relationship and your eternity with Me in the spiritual. Pray for the people of Japan. Pray for the souls of the lost. You are mine, and I have sealed you with the seal of My protection, you and your family and loved ones." Isaiah 17: The burden of Damascus. Behold, Damascus is taken away from being a city, and it shall be a ruinous heap. "You see how it seems the wind is blowing very hard. It will not take much of my wind of judgement to cause your infrastructure to crumble. You will be shocked at how vulnerable your nation really is. This sense of dread, and ominous events is very real. My armies have gathered. Your tribulation has begun. My hand of judgement will be severe. I see many in your country preparing for a holiday, starting their celebration early, drinking and carrying on in the mire of their own destruction, when they should be on their faces and on their knees, begging Me for mercy for the disgust that marks their filthy lives. How long must I warn? How long must I tell My people to prepare for My coming?! How many watchmen have I sent to warn the people of the lateness of the hour! And to no avail! My words continue to fall on deaf ears! I have made a way for My righteous, My obedient ones, for a small few have heard My call and are watching and waiting for My return. I will soon rain fire in this country! You will burn America, you will burn!!! I have held back My hand of judgement long enough! You must, I repeat, you must have your spiritual houses in order this day. The hourglass is empty. Behold, I come !" Matt 25:13 Watch therefore, for ye know neither the day nor the hour wherein the Son of man cometh. Matt 24:45,46 Who then is a faithful and wise servant, whom his lord hath made ruler over his household, to give them meat in due season? Blessed [is] that servant, whom his lord when he cometh shall find so doing. Rev 22:7,12,14 Behold, I come quickly: blessed [is] he that keepeth the sayings of the prophecy of this book, 12 And, behold, I come quickly; and my reward [is] with me, to give every man according as his work shall be.14 Blessed [are] they that do his commandments, that they may have right to the tree of life, and may enter in through the gates into the city. Isaiah 24 Behold, the Lord maketh the earth empty, and maketh it waste, and turneth it upside down, and scattereth abroad the inhabitants thereof. I dreamed that it was daytime, but pitch black everywhere outside. So black you could not see your hand in front of your face. It seemed to be caused as a result of fires burning and the thick black smoke, but I don't know for sure. I'm told to read Rev. 8, the opening of the 7th seal. It speaks of the 4th angel sounding his trumpet and 1/3 part of the sun, moon, and stars are darkened.
" There is a coming darkness that will envelope the earth and men will die of fright from the terror of such darkness. My faithful however will operate under an anointing that will only come for those who seek Us. In your dream, you were going about your business inside, while your husband was working outside. Notice, you did not need any other light source. When you looked at the air outside through the windows, you saw blackness, but you 'saw' him working as usual and his light in his body was all you saw. He had no trouble working outside and could 'see', because it was My light he was operating by. The same was true for you. And this is how it will be in your very near future. My anointing on My chosen ones will allow you to minister in a way you've never been able to before. Pray now, today, for this grace and this anointing for your family and loves ones. The time draws near. Prepare your hearts. We are with you always." Isaiah 10:27 And it shall come to pass in that day, [that] his burden shall be taken away from off thy shoulder, and his yoke from off thy neck, and the yoke shall be destroyed because of the anointing. "The time has come and gone for all to choose which side they are on. The lines have been drawn. You have either chosen Me, chosen life, or death, and the world. I weep for those who have not accepted My love and who reject Me and what I have done for them. Rejoice in that you have chosen well, but also mourn with Me for those who are now forsaken. I speak of those who have not Me as their root, their substance. Unless you are drawing your strength, your very substanence from Me, the source and foundation of all, you will not stand! For such horror's as have never been witnessed will befall you. Only those with their feet firmly planted or grounded in the Father's will, will endure. I created you to be an extension of Me, with My blood flowing through your veins. But so many can not grasp this. You were created in Our image! If you could only accept this and walk in this My people, your souls would be well. America's fate is sealed. Destruction comes. I have been more than patient with a nation that mocks Me at every turn. I have turned the other cheek time and time again. I will always protect My faithful, I have demonstrated this many, many times in My Word, but the unrighteous MUST be brought down. You have entered into a very perilous time, a time forseen by My prophets thousands of years ago! My prophecies are and will come to pass very quickly now. Prepare your hearts ! I am coming soon!! May My peace and My love flood your very soul, and carry you from glory to glory, from everlasting to everlasting." Matt 15:13 But he answered and said, Every plant, which my heavenly Father hath not planted, shall be rooted up. I see a picture, a scene or a bubbling river or stream, and YAHUSHUA is standing in it facing me, arms outstretched. He is so peaceful ! I hear Him say, "I am the River of Life ! Come to Me !" Rev 22: And he shewed me a pure river of water of life, clear as crystal, proceeding out of the throne of God and of the Lamb. "Allow My kingdom to permeate every pore of your body. You are My temple, and walking this way will change your life and all that is around you. Grasp the magnitude of Me living inside of you, operating under My Father's will. I have no limits! I will manifest Myself in ways you could never imagine! Allow Me to flow through you like great and many waters. Trust Me. Believe in Me. I will never leave you or forsake you . You are my precious gem. Stand in My authority. Seek Me. Pray. Continue diligence. Transformation, can, and is yours. Rest in Me. Even when all around you will melt away, I will be your rock. I am Your foundation. Thank you for spending time with Me. I love you." 1 Cor 6:19, 20 What? know ye not that your body is the temple of the Holy Ghost [which is] in you, which ye have of God, and ye are not your own? For ye are bought with a price: therefore glorify God in your body, and in your spirit, which are God's. Heb 13:5 for he hath said, I will never leave thee, nor forsake thee.
" This nation has angered my greatly! I will hold back my hand of protection no longer! I will move swiftly and severely now! The vile and abominable sin of these people and their hatred for Me will bring horrible judgement and devastation as you in your country have never experienced before. The seas will roar and your nation will burn for their lack of love for Me. I will bring down your idols and your leaders who spit in My face and persecute Me over and over again. The ground cries out for My Hand of justice to act, and act I will ! The blood will run deep and high for those who have turned their backs on Me. I will be avenged. Do not fear though, my special and faithful ones, you who have held close to My heart. I have a covenant with you and I will keep it. You are Mine, and you have nothing to fear. My arm of protection around My faithful stands firm. I hold you under My mantle. Be still and know I am Your God. Luke 19: 40 And he answered and said unto them, I tell you that, if these should hold their peace, the stones would immediately cry out. I was given a vision this morning, of a desert scene in the Middle East. There is an Egyptian man in his common attire, facing east on a chariot, and the chariot has no horse driving it. He is in front of a very large, stone-walled city that has a giant gate, like double-doors, but solid, in the middle of the wall. I get the impression the city is Jerusalem. All activity is inside the gate and the man is just outside the city, waiting. Above and to the left or north, I see two black ravens hovering in the air near the man. A giant phoenix descends over the whole scene casting a shadow over everything, wings outstretched. Gate: The gates and gateways of eastern cities anciently held and still hold an important part, not only in the defense but in the public economy of the place. They are thus taken as representing the city itself. They were used as public resort, deliberation, administration of justice, or of audience for kings and rulers or ambassadors. There were carefully guarded, and closed at nightfall. Larger gates mentioned in scripture were two-leaved, plated with metal, closed with locks and fastened with metal bars. Sentences from the law were inscribed on and above the gates. Metaphorically speaking, gates can be access to situations either of hope or despair, life or death in the NT, and often spoke of as ways people can gain access to the person and presence of Yaweh. Chariot: in Hebrew (rekeb) this is a covering, or saddle. In the story of Enoch and Elisha, God's shows that His army will come on chariots of fire; a means in which God travels. The prophets allude frequently to chariots as typical of power. Ps.20:7; 104:3; Jer. 51:21; Zech. 6:1. Raven: in Hebrew (oreb). 1King 17:4,6; Ps. 147:9; Prov:17; Luke 12:24. In Luke's reference, "consider the raven, they neither sow nor reap, they neither have storehouse or barn, and God feedeth them, how much more are ye better than the fowls?" Elisha was cared for by the ravens. 1Kings 17: 4,6. They are expressly mentioned as instances of God's protecting love and goodness. Job 38:41; Luke 12:24. To the fact of the raven being a common bird in Palestine, and to its habit of flying restlessly about in constant search for food to satisfy its voracious appetite, may perhaps be traced the reason for its being selected by our Lord and the inspired writers as the especial object of God's providing care. Phoenix: in Hebrew (chol) a firebird; death has no power over it because it didn't taste the fruit of the tree of knowledge; at the end of it's life, it burns itself and it's nest up in a fire, it renews or rebirths itself and returns to it's youth. Job 29:18-"Then I said, I shall die in my nest, and I shall multiply [my] days as the sand (chol). Commentator Rabbi Rashi states "they are a symbol of a future resurrection to new life, God's prophetic symbol". East: in Hebrew (mizrah)- eastward orientation of the temple, or east gate of the temple; the direction in which God will bring judgement on His people and nations surrounding Israel; also the direction from which God releases His people from captivity. Metaphorically, it is the direction as to the region in which sin shall be removed absolutely. It's the direction from which God brings judgement and deliverance. Ps 103:12 As far as the east is from the west, [so] far hath he removed our transgressions from us. Eze 45:7 . It also is referred to as the point of departure for the glory cloud of Yaweh. Wheel: in Hebrew ( galgal) rendered "wheel" in Psalm 83:13 and "a rolling thing" in Isaiah 17:13. "whirling dust"
I then went to the Lord in prayer and meditation, asking for an interpretation for this vision and this is what I was given. God our Father has brought us out of Egypt, out of idolatry, fornication, and types of sin by sending His precious Son Yeshua to shed His blood for our redemption. He travels by wind and fire, hence the chariot, as He did for Elisha and Enoch. The man in the scene had no horse pulling him across the desert, away from 'Egypt', and was actually traveling in the air, not touching the ground. God is showing us that He is the one carrying us, guiding and directing us away from sin towards a relationship with Him. The man did not need anything to pull him! He is traveling east, as even though God's judgements are said to come from the east, His mercy and deliverance also come from that direction. The ravens are to show us, the man, that our needs will ALWAYS be provided, no matter what comes, or how bleak it looks, (the desert scene). The walled city on the right is Jerusalem, and we access God through the gate, His presence, but the choice is always ours, remember, the gate represents the entrance unto His tabernacle. The phoenix represents our future resurrection. The bird, metaphorically, does not die, but rebirths itself after 'dying' by fire, only to rise from the ashes to youth again. So we have the blessed assurance of the love the Father and Son have for us, and we are guaranteed all of our provisions will be provided. It is our choice to enter into His presence and allow Him to be our guide through the upcoming tribulations we will go through. If we choose Him, we choose eternal life, and a future resurrected body. Hallelujah and praise God for a very clear picture of His eternal plan for us all! "The time has come for my judgement to pour out. The hour is here. The time to choose is over. Internal as well as external structures will collapse into ruin. I am the only ground in which you will be able to stand on now. There is security in nothing else." (I see ships firing missiles in the oceans). "I have opened the abyss to the underworld. Satan has been given his last freedoms on this earth. Many, many demons swarm this earth, and will devour. The battle intensifies greatly my child. Continue to walk with Me, talk with Me, consult Me in all you do, in every step you take. I will never leave your side, and I will instruct you in My will. Listen for the angels who will also be provided for you to guide you and lead you. Be prepared for things to change in a moments notice. Be sober and vigilant. I have called you for such a time as this. So much evil waits to devour those who know Me not. Be you can not be harmed. you are Mine, I have sealed you with My blood. Be not afraid! Such glory is coming after this short time of terror. Rejoice for you will spend eternity with Me! I love you My dear one. All of the angels are awaiting the glorious reunion of My saints. Oh, what a joyous time this will be. Just a short while longer. Endure. Endure to the end. I am all you need! Seek Me. Peace be with you! Rev.9:1-4 And the fifth angel sounded, and I saw a star fall from heaven unto the earth: and to him was given the key of the bottomless pit. And there came out of the smoke locusts upon the earth: and unto them was given power, as the scorpions of the earth have power. And it was commanded them that they should not hurt the grass of the earth, neither any green thing, neither any tree; but only those men which have not the seal of God in their foreheads. Rev.19:9 And he saith unto me, Write, Blessed [are] they which are called unto the marriage supper of the Lamb. And he saith unto me, These are the true sayings of God. 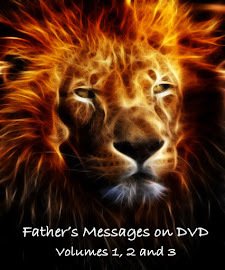 "My daughter, it is so important that you listen to My words and instructions now. Many, many things are happening on your earth today. Your air has become poisoned. Your country will collapse. The weight of gross sin around the world is too much for the earth to bear any longer. Deep under the earth, the foundations are cracking and splitting apart. The whole earth groans for My justice. It won't be long now. Take heed to gather your loved ones into your heart in your prayers and I will protect them." I see a picture of balancing scales and the left side of the scale is full and lying on the ground, the right side is empty and swinging.
" The air is thick with the battle of My angels against the wicked ones. You can sense it, almost see it. you are almost there, you will endure to the end! Continue to encourage yourself and the children with My stories of old, My victories over the enemy. I will ALWAYS prevail. There is such glory to come to those who are faithful. You will be so amazed! Endure, endure, endure to the end my loved ones. I am Yahushua Your Lord and Your King, and My love has no bounds! Go now and walk in My authority and with My peace." "There will be storms of great magnitude with great winds. Foundations will shake. Fierce winds will cause fires around you and many structures will fall. Events will happen so very quickly now, they will escalate each day. Act now in the areas in which you know to move in. Trust in Me. Darkness comes so quickly now. 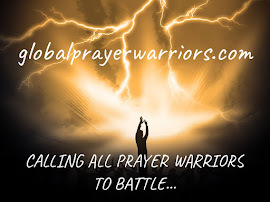 Be watchful and pray." 2 Chron: 6:40 Now, my God, let, I beseech thee, thine eyes be open, and [let] thine ears [be] attent unto the prayer [that is made] in this place. I am pouring out My Spirit at this time for all who seek Me. I am ever near. Seek Me and you will find Me. My heart longs to be Your friend, Your Redeemer. Rejoice! For My Father's will is accomplished. I will guide you in all things, in all ways. You are Mine, precious in My sight. Allow Me to work through you while there is yet a little light still on this planet for the curtain is drawing to a close. Night is fast approaching. Be still and know My love, My ways. A day is coming when all will seem hopeless, especially for those who have not already chosen Me. Terror will reign, but remember, I am the King of the Universe and everything answers to Me. Stand firm as My soldiers. I will give you the courage and strength you need to endure. Trust in Me. Do not fear anything My child. Go now, and rest in Me. And it shall come to pass afterward , [that] I will pour out my spirit upon all flesh ; and your sons and your daughters shall prophesy , your old men shall dream dreams , your young men shall see visions, and also upon the servants and upon the handmaids in those days will I pour out My spirit. Write these things to my people: I come as Your friend, Your brother, Your King. I want for you to listen, to be still enough to hear My voice. I am your comfort. In Me are all things. I am coming soon for my Bride. Hear Me now. There is no need to fear anything. The battle has begun, it is war. Do not be confused as nothing will be as it seems. The armies have gathered and the lines have been drawn. Which side do you fight for? The outcome is set. Many will fall and the blood will run high. I challenge you now to lay aside all things that are not of Me. There is nothing more important than listening to My instructions now. I will guide your every move. Be not afraid. It will look as if the enemy has won, but this will not be so. Keep your eyes on Me. Rev. 19:19 And I saw the beast, and the kings of the earth, and their armies, gathered together to make war against him that sat on the horse, and against his army.